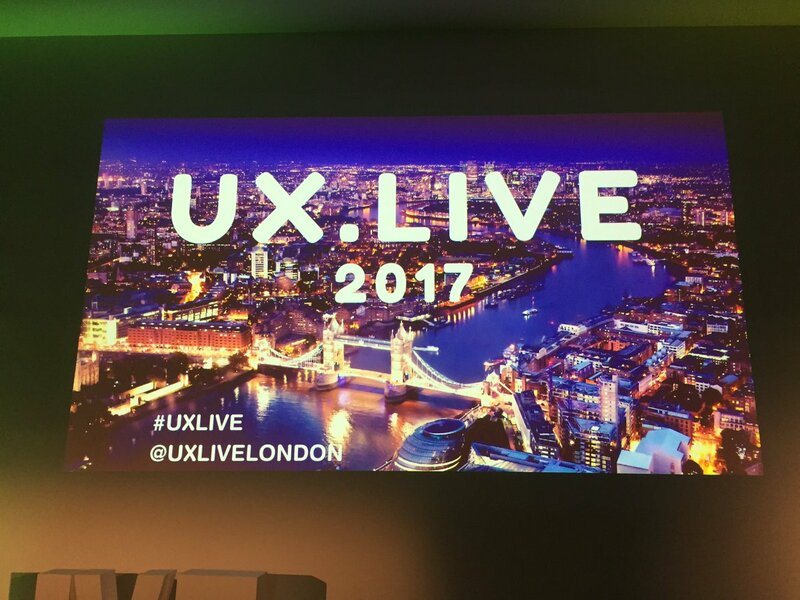 We were thrilled to be invited for the inaugural UX.Live conference in London, where speakers from Adobe, BBC, Uber, Tesco and Facebook spoke about all things user experience, psychology, semiotics and design. 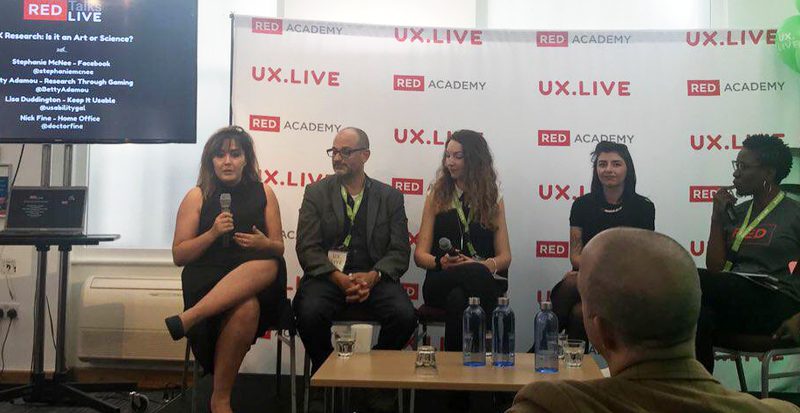 Betty Adamou, our Founder and Head of ResearchGame Design, shared a design-focused presentation on the benefits of ResearchGames in context-based insight, and was part of the panel discussion (UX, is it Art or Science?) with Nick Fine from the Home Office, Lisa Duddington from Keep it Useable, and Stephanie McNee from Facebook. Our interviewer, Emen Rita Usanga threw some debate-worthy interview questions our way – where we ended up talking about the importance of psychology in UX, introverts and extroverts, why Nick Fine hates Market Research and Betty discussed the differences between Games and Gamification in and outside of market research. 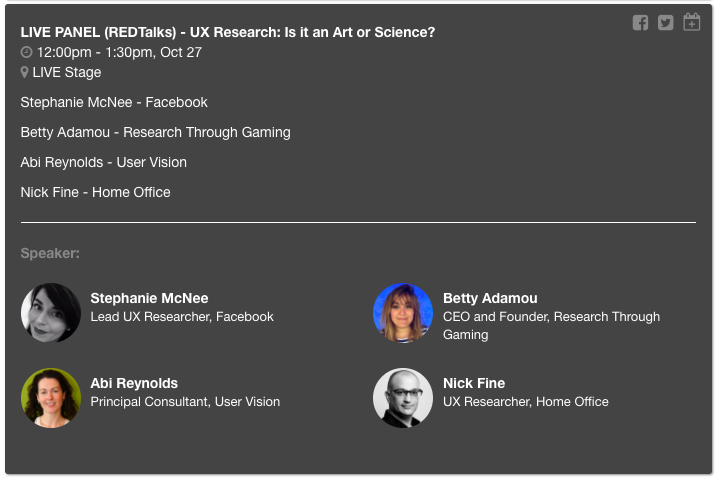 You can see the full synopsis of what we spoke about here on the UX Live website. 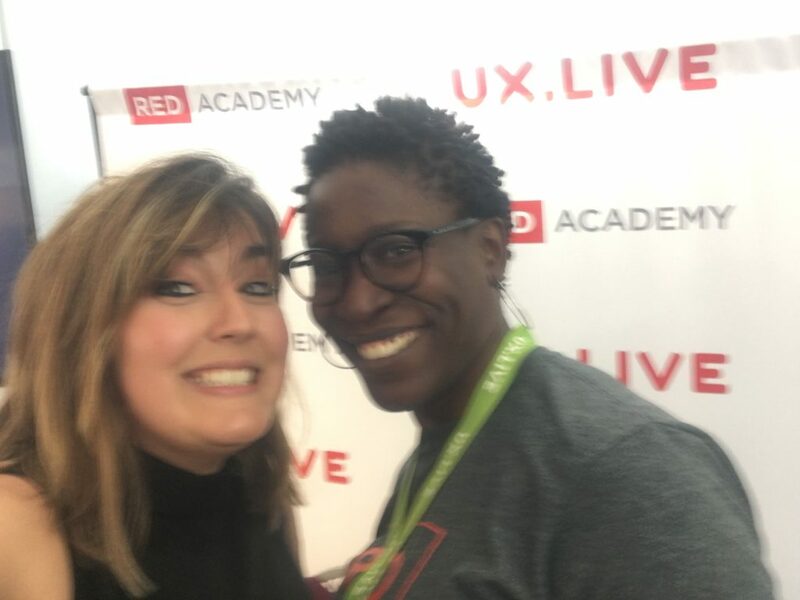 A recording of Betty’s presentation and a recording of the panel discussion will be made available soon by the UX Live organisers, which we’ll share on the podcast here in due course! You can view a collection of photos from the conference here. A massive thanks to the organisers Myles McMorrow and Luke Reed, who did a wonderful job of getting together a friendly and helpful team, and a big thank you again to Emem Rita Usanga again for making us feel so welcome and her panel questions.